Mom T-Shirt Discounts Apply ! Moms need shirts too! 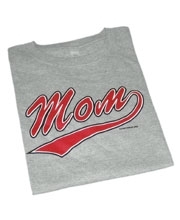 Based on feedback, requests and demands of our customers, we now have the Mom version of our popular Dad shirt. Available in women’s sizes s – 2xl in white and gray.